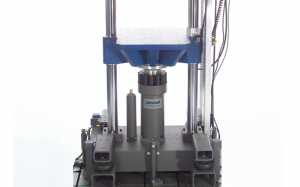 The Lansmont Model 65/81D Shock Test System is the most common of our large shock test systems. This system has the ability to test items weighing up to 500 lbs. (227 kg) with a footprint dimension up to 25.6 inches by 32 inches (65 cm x 81 cm). It can perform a wide variety of shock tests to a maximum acceleration of 600 g.
The Model 65/81 Shock Tester consists of a one-piece cast aluminum shock table that is precisely guided by two solid steel, chrome-plated guide rods. The two guide rods are rigidly attached to a massive, isolated steel base that helps to attenuate any shock energy that would otherwise be transmitted to the surrounding building through the laboratory floor. Also mounted to the steel base is a Damage Boundary Programmer, which allows the operator to generate both half sine and trapezoidal shock pulse waveforms. The Model 65/81 is equipped standard with Lansmont’s NEW TouchTest Shock II Controls. 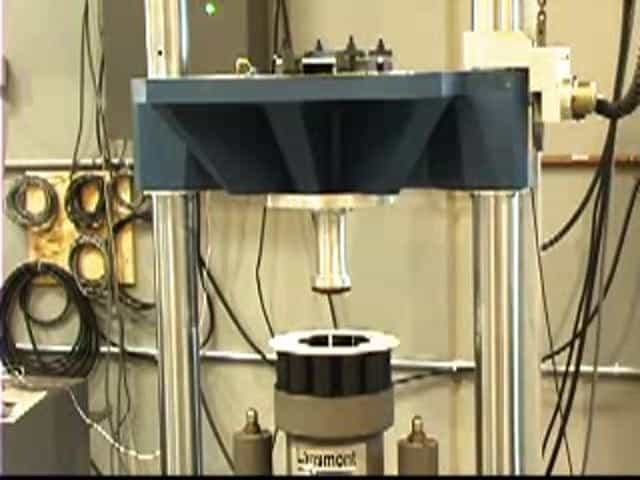 Presented by Eric Joneson of Lansmont this video provides an introduction to shock testing using Lansmont’s quality line of shock test machines. 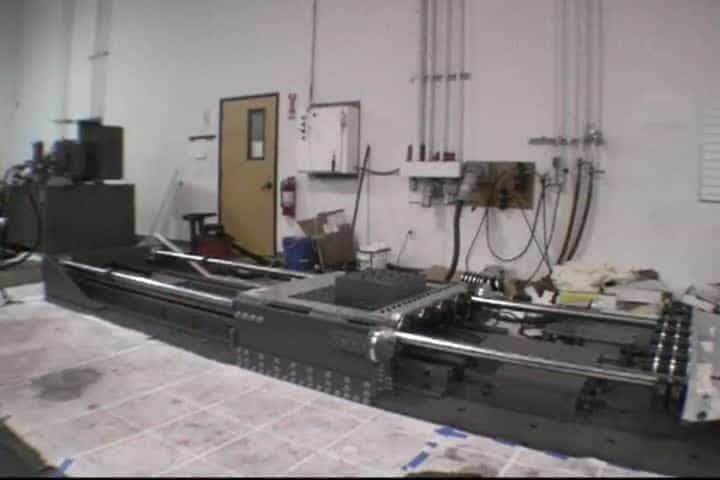 This video demonstrates the HITS 91 Horizontal Impact Test system. This high performance system was created for the US Army Research Center to test vehicle seats and seat restraint systems. The Army is looking to increase survivability of roadside blast encounters for vehicle occupants. This system is used by the US Army Research Center to simulate the effect of a roadside explosion beneath a military vehicle. The Army is looking to increase survivability of roadside blast encounters and this high performance system was created to test vehicle seats and restraint systems.